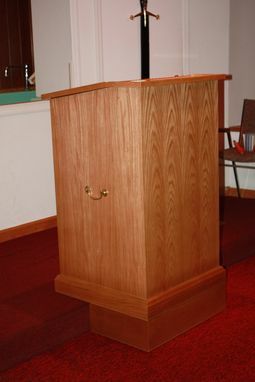 This pulpit was custom made to fit in a situation where it needs to straddle two steps and needs to be easily movable to accomodate special events. 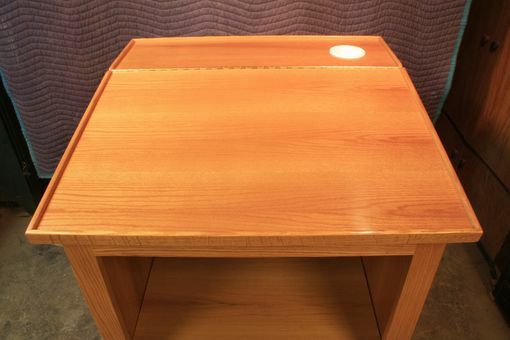 The main pulpit fits over the "lower step filler" in a manner that keeps it aligned without being attached. 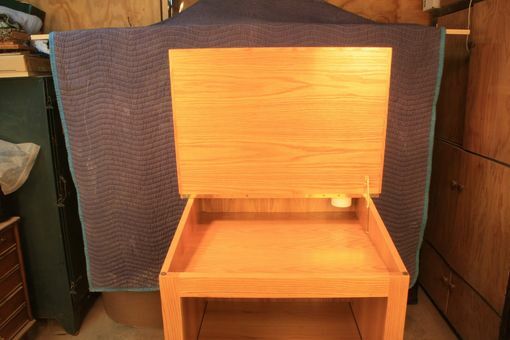 The handles are solid brass and are bolted through the plywood. It features a built in cup holder that can be removed for cleaning and a lift lid for convenient storage. 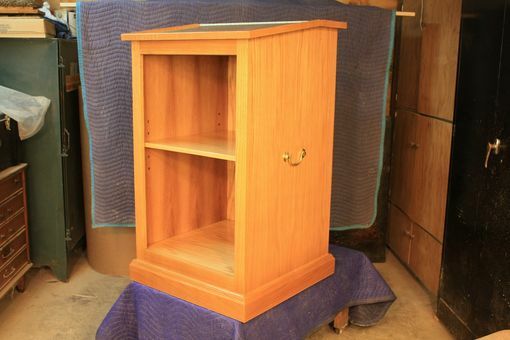 Construction is of oak plywood with solid oak mouldings along the bottom and top edges.